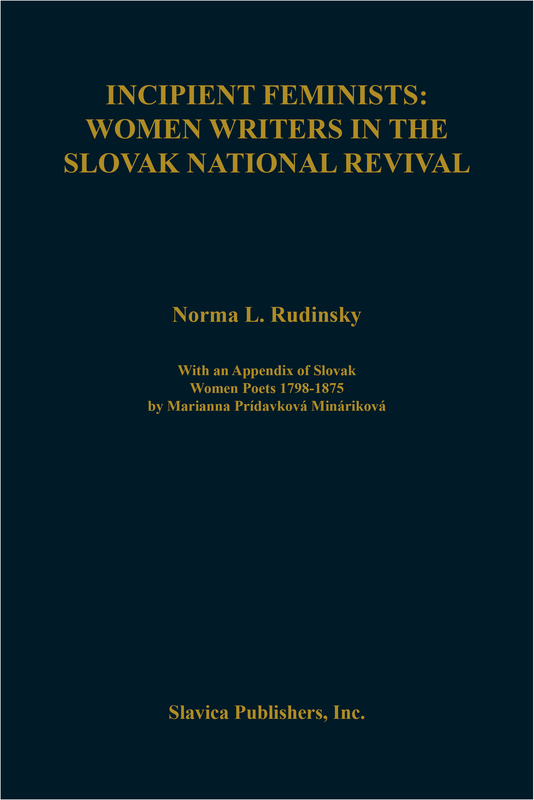 Part history and part anthology, this close study of contemporary journal articles, letters, and poetry shows the extraordinary tension of the alternately competing and coalescing drives of nationalism and feminism among the Slovaks in Austria-Hungary. Women co-opted into the national movement learned to enlarge and internalize the new opportunities given them by national needs. The desperate position of the Slovaks is traced here through three stages: "woman as inspiration" in Jan Kollar's and Martin Sladkovic's embodiment of woman as Herderian nation, "women as help" in the founding of women's nationalist organizations and magazines, and finally, "women as women" in the incipient feminist writers of the turn of the century. In fiction the nationalist heroine created by Svetozar Vajansky was a sort of national guardian who was only passively effective, but Elena Soltesova's heroine in Proti prudu shows more conscious activity and the schoolteacher spinsters of Ludmila Podjavorinska and nationalist writers of Timrava are analogous to reform heroines of English and American novelists. Especially interesting is the Appendix of 123 poems (in Slovak) formerly scattered in short-lived journals or manuscripts; they were collected by Mariana Minarikova of the Slovak Academy of Sciences in Bratislava. Given in a diplomatic edition (and thus illustrating Slovak language development as well as growth of female consciousness), these poems range from a moralistic hymn in 1798 exhorting young ladies to beware of seducers to several poems in the 1860s and 1870s equating the nation with a human lover and ecstatically or despairingly resolving to become a mystical bride of the nation. Available biographical data are given (in English) on the poets, though many are still unidentified. Two major essays advocating women's education are translated in full. Frequent comparison is made to Czech and occasionally to Croatian and Magyar nationalist movements. A thorough index and long bibliography are given.